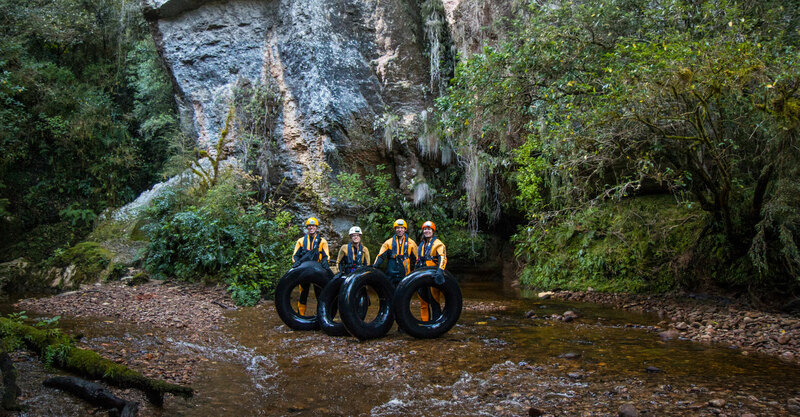 ‘Underworld Rafting’ is a superb 4 hour Black Water Rafting adventure in the enormous Nile River Cave System deep in the ‘Untamed Natural Wilderness’ of the Paparoa National Park. On this adventure you will be equipped, at our purpose built base alongside SH6 in Charleston, with wet suits, wet suit socks, boots, gloves and helmet. Dressed ready for your adventure, a short drive and the Nile River Rainforest Train will take you into the stunning West Coast Rainforest with towering limestone cliffs that create a magical backdrop for your adventure. A short walk leads you to the cave entrances high above the Nile River. 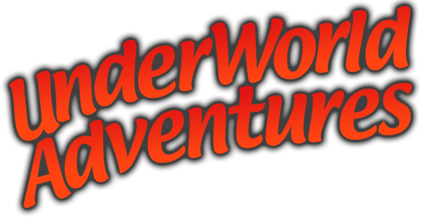 You will enter a hidden subterranean world leaving the daylight behind to explore a calcite paradise of stalactites and stalagmites, cross huge chambers, follow a maze like system of passages and wander through the multi-leveled cave system. Enriched with illustrations, explanations and stories you will descend to the bottom level of the cave where the water guides you through magical galaxies of glow-worms. You float on a slow moving underground river to emerge back into daylight having used only the natural light of the simply awe inspiring display of glow worms as navigation. You leave this special place in your tube for the untamed wilderness of the rainforest and the tranquil Nile River to float down the fun filled gentle rapids on The Nile River and return to the train.